All Natural Biodegradable Carpet Cleaning Solutions! Dirt and grit can damage your floors permanently and cause unsightly and unsafe fading, scratches and nicks. High traffic areas are prone to dirt and grit and can give a beautiful floor a less-than-luster look. Ensure the appearance and cleanliness of all your floors with high quality floor and carpet cleaner services from M&R Premium Carpet Care in the Livermore area. With a proper floor and carpet cleaner for your commercial/residential property in Livermore, surfaces will maintain a promising new appearance and lessen the impact of everyday wear and tear. With our green cleaning practices, you’ll get the best carpet cleaning for your home and your family! Experts advise that regular carpet cleaning and preventative maintenance will keep floor surfaces looking their best and increase the longevity of your floor, saving you money in the long run. Over 20 Years of surface and carpet cleaning! M&R Premium Carpet Care is your number one source for carpet cleaning services for your residential/commercial property. In addition, we are one of the largest providers of upholstery cleaning and drapery cleaning. We also provide tile & grout cleaning, air duct cleaning, and 24-hour restoration services. Livermore carpet cleaning services you can trust! M&R’s carpet cleaners use the industry’s most advanced truck-mounted carpet cleaning system, which will remove ground-in soil and revive your carpet’s appearance. Additional services such as carpet repair*, deodorizer and our stain-resistant protective coating is also available. Livermore’s trusted company for all of your home cleaning needs! Our specially trained and certified upholstery cleaners and technicians have expertise in many difficult-to-clean materials, including silk, suedes, ultra suedes and velvet. We also offer deodorizer services as well as our stain-resistant protective coating. Our grout cleaning and tile cleaning services for your residential/commercial property employs a powerful truck-mounted cleaning system. We’ll safely clean your surfaces (such as flooring, showers and countertops), removing dirt and contaminants. And by the way, we can handle your grout repair or grout color sealing needs as well. M&R’s specially certified air duct cleaning technicians have the training and experience to remove harmful contaminants from your home. Our exclusive HEPA-Aire™ vacuum and Aire-Sweep™ compressor system pulls air duct pollutants into a contained filtration system so efficient that it is capable of capturing debris 1/300th the diameter of a human hair. Do you live in the Livermore area? 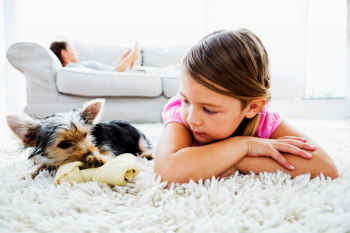 Are you in need of emergency and restoration services, M&R Premium Carpet Care is available 24 hours, seven days a week. For more details, please call!